At Havelock Primary we pride ourselves in supporting our children every opportunity we can. The staff carry out additional learning support for targeted children to ensure they are making the accelerated progress in their learning. 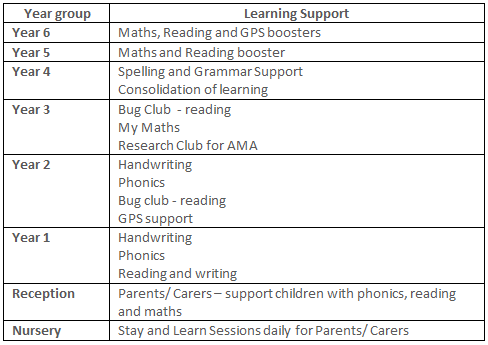 These booster sessions take place, first thing in the morning, during lunchtimes and after school.